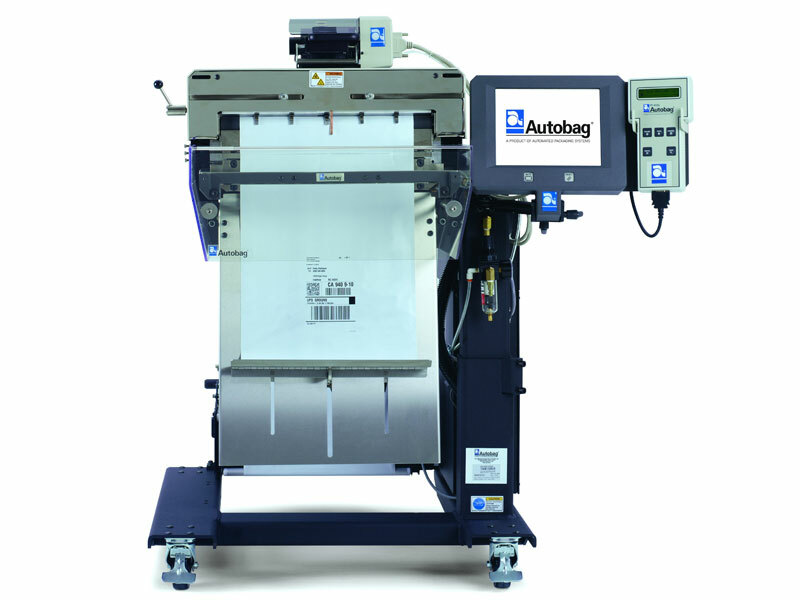 The Autobag AB 255 OneStep is uniquely designed to provide flexible solutions for dynamic packaging environments, such as large parts mail order fulfillment, short production runs, and build-on-demand operations. By positioning the PI 412c imprinter directly over the next bag to be loaded, the AB 255 OneStep prints and indexes in a single-step – virtually eliminating bag waste and product queuing. This next-bag-out technology ensures accuracy and efficiency in bag packaging applications that require frequent product and label changeovers. The AB 255 OneStep can be utilized in the standard Print-n-Pack™ configuration, or integrated with a variety of productivity options, including laptop computers, bar code scanners and stand-alone keyboards. The AB 255 OneStep operates at speeds up to 30 bags per minute, printing high-resolution text, graphics and bar codes up to 12 inches per second. The system is ideal for packaging medium to large products, offering large bag sizes up to 16 inches wide and 27 inches long. Using genuine Autobag pre-opened bags-on-a-roll, the AB 255 One Step is a fast, flexible and cost-effective solution for large parts packaging and mail order fulfillment. W 4 to 16 in. L 5.5 to 27 in.